Convert any AI to HTML and CSS in a few clicks. Export Kit makes AI to HTML websites quick, easy and painless from any Illustrator AI file to provide advanced HTML and CSS features. In minutes you can have clean and valid AI to HTML and CSS conversion from Illustrator using Export Kit. These tutorials will give you the basics when creating your Illustrator AI to HTML project. Please ask any questions related to your AI exports in the comments below. When exporting your Illustrator AI file to HTML and CSS, your paths and shapes must have a valid RGB fill color to process in your AI to HTML output. You use a valid color when you convert your Illustrator AI file to HTML or the export will stop on that layer. IMPORTANT: You must use RGB Color Mode! It is very important to organize your AI PageItems into Layers with Illustrator for a production ready export. If you have a single layer with multiple PageItems, that is what you will get in your output. 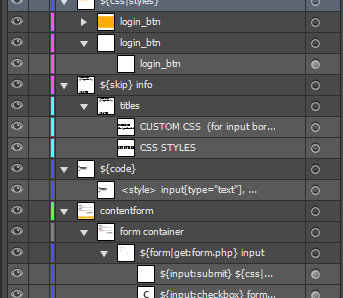 You must use unique names with your PageItems and Layers, if you do not rename your elements you will end up with _group_x and _page_x with your HTML names – not recommended for production exports. You must use unique names. The AI Design Rules along with our PSD Deisgn rules will help you to understand the basic setup of your AI document to work with Export Kit. When you have a single image, its best to wrap it in a folder container with the same name as the image. We have an option for Safe Text, DISABLE THIS OPTION. This is designed for Photoshop due to how text elements are rendered. Illustrator does not require this as it already adds a buffer to text items. 1. AI is vector based, this means you can easily have an Illustrator design that is 5000px or more. This is not realistic for a web or mobile layout. Its very important to note your document size and resize your design to match your target output size. You can do this with Guide Kit and Canvas Layout: http://exportkit.com/learn/how-to/using-the-suite/using-guide-kit. 2. 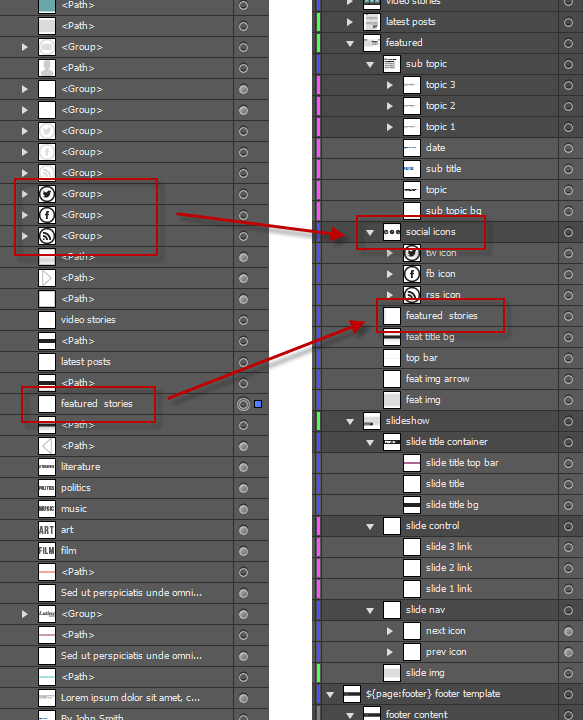 You must maintain your layer / folder structure when using Illustrator. Looking for another answer? View other questions in Install HTML CSS Responsive Illustrator or get premium support for guaranteed results.